Roots is heavy, but not just due to the instrumentation. 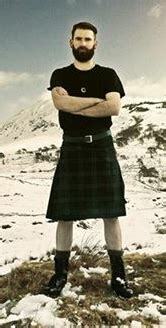 It delves deep into the psyche, with the music drawing out the pain and pride of Marshall’s theme – his Scottish roots. Listening to this album will make you feel like you’re up in the mountains amid the wind and the weather. If you’re a Braveheart fan, just imagine yourself a member of William Wallace’s resistance forces. Or if you’re a gamer, the music will carry you away to Skyrim. You could say it even has some Last of the Mohicans elements. In other words, the music is both majestic and haunting. For a feel of the music within, look no further than the album art, which paints an accurate picture of the sound: rugged and wild but beautiful with an air of uncertainty. Like classical, classic rock, and alt/indie music, I bet Saor is the type of music that will improve your SAT scores because of its complexity. 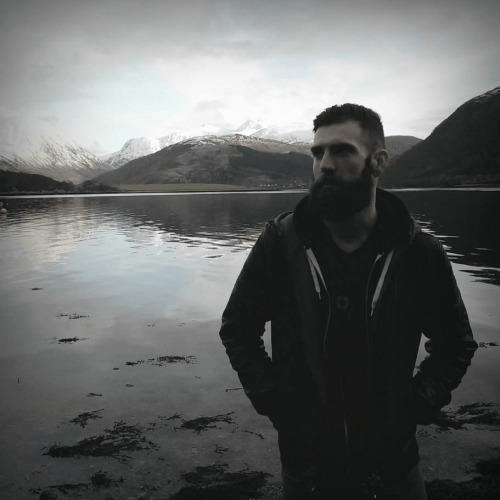 Melody isn’t the first thing that comes to mind when it comes to heavy metal bands, but Saor actually makes it a reality. Marshall is not only adept at catchy guitar riffs, he really knows his way around melodic intensity. He presents a refreshingly wide range of depth and feeling through a variety of memorable passages, both heavy and light. The ups and downs take you on a musical journey that simultaneously pummels and enchants. The nature of this music means you have to crank up the volume to get the full effect. (We purchased the albums on vinyl which sound awesome on our vintage stereo.) There are many instrumental layers, so you have to listen closely or you miss the subtle nuances like bagpipes in the background. I mean seriously, he will go from a quiet interlude of whispered poetry or what sounds like the distant refrain of a Gregorian chant, to suddenly hitting you over the head with the roar of full-blown heavy metal. As a Christian girl, I never even liked heavy metal music before, but upon hearing Saor it really resonated with me for some reason. I must admit, the intense heavy metal style fits when you’re feeling angry or frustrated. It’s also great for working out or heavy duty housework because the music is so powerful. If you have any Scottish or even Viking blood in you, I bet this music will speak to you too. Seriously, the Gaels were like the original “Live Free or Die” kind of people! As Marshall said, besides composing his own original lyrics, some of the words are derived from the works of famous Scottish poets. But the way Marshall yells the verses, it’s hard to understand what he’s saying. Still, the vocals are fitting because instead of annoying shrieks and screams through a microphone, they sound more like guttural yells from the top of a mountain. I’ve posted the lyrics from his Roots album at the end of this article. Roots (2013) was followed by Aura (2014) and Guardians (2016). I can’t decide which one is my favorite; they each have their own unique qualities and they’re all great! On the Aura album, you an almost hear the eagle cries in “The Awakening.” I love the brief transition from heavy metal to a kind of jazz swing interlude in “Pillars of the Earth.” And if anyone says heavy metal music can’t be beautiful, I challenge them to listen to Guardians. The music takes you deep into the forested Scottish countryside, where the subdued atmosphere (dare I say relaxing?) suddenly explodes with soaring guitars, wailing bagpipes, and booming drums making your heart swell with emotion. The native instruments really set the mood and “Hearth” even sounds like it has a bit of Spanish guitar at the beginning. Those are just a few things that come to mind; each time you listen, you’ll discover something new! 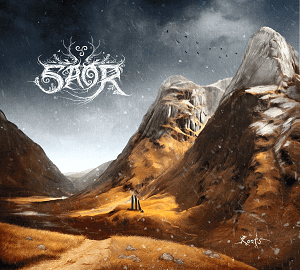 Listen to all three of Saor’s albums on the SAOR OFFICIAL YOUTUBE CHANNEL. P.S. Saor’s newest album, Forgotten Paths, is set to be released in February 2019! What do you think of Saor’s music? Leave a comment!